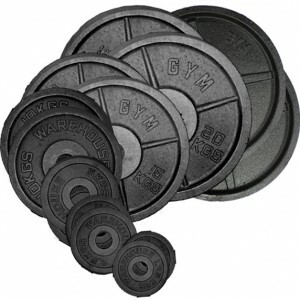 Gymwarehouse Plate Weights, (also referred to as barbells,weight discs and olympic plates). 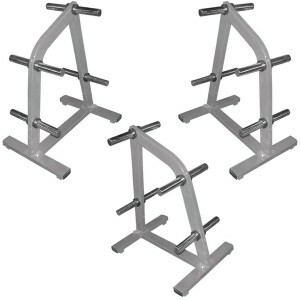 We have a large selection Gym Use Olympic + Standard Plate Weight. 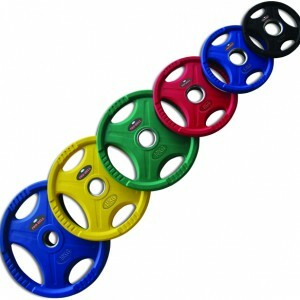 Our plate weights come in Standard or Olympic sizes and a selection of finishes. 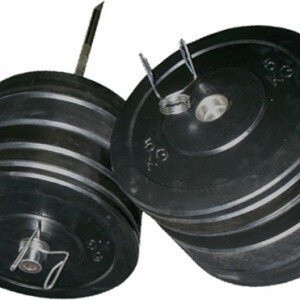 Whether you require old skool cast, Solid rubber for powerlifting or coated for aesthetics and to protect your gym environment then Gymwarehouse has a weight plate for you. 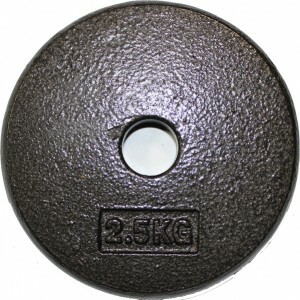 We have the 2″ ,(Olympic) style weights in stock in various forms and also keep a small selection of the standard sizes plates, (small centre hole). 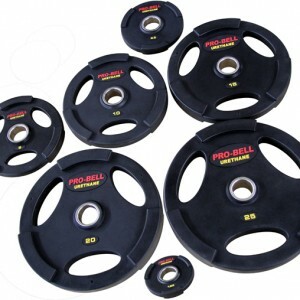 Generally our Rubber coated Pro-Bell weight plates are the most popular choice with commercial gyms. However, there is always demand from gyms that have already got some cast plates to get additional plates as their gym grows. Some spit and sawdust gyms love the feel and sound of the old fashioned weight plates, and what’s more the solid discs without handles are virtually indestructible. Also we have available colour coded rubber coated discs which not only look good but also allow for quick weight identification and selection. 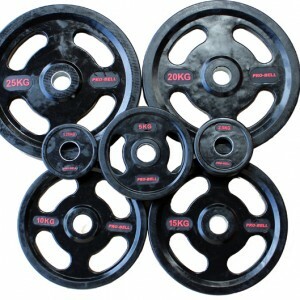 If you want a product for power lifting then the solid rubber bumper plates might be the best option for you, (would certainly not recommend dropping cast discs on your flooring from a shoulder press). These are designed for dynamic lifting and will tolerate some dropping and save your floor from serious damage. Our best all round Olympic plate is our Pro-Bell Urethane product which is not only attractive but pleasant to handle and very durable too. In standard size plates we keep in a selection of rubber coated and cast plates. 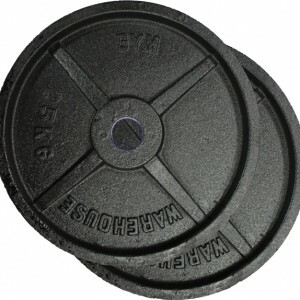 The cast plates are very popular with customers who wish to repair or build their own dumbbell sets. These are available in sizes from 0.5Kg – 20Kg. If ordering for dumbbells you will need to order in sets of 4 to allow the construction of balanced pairs.